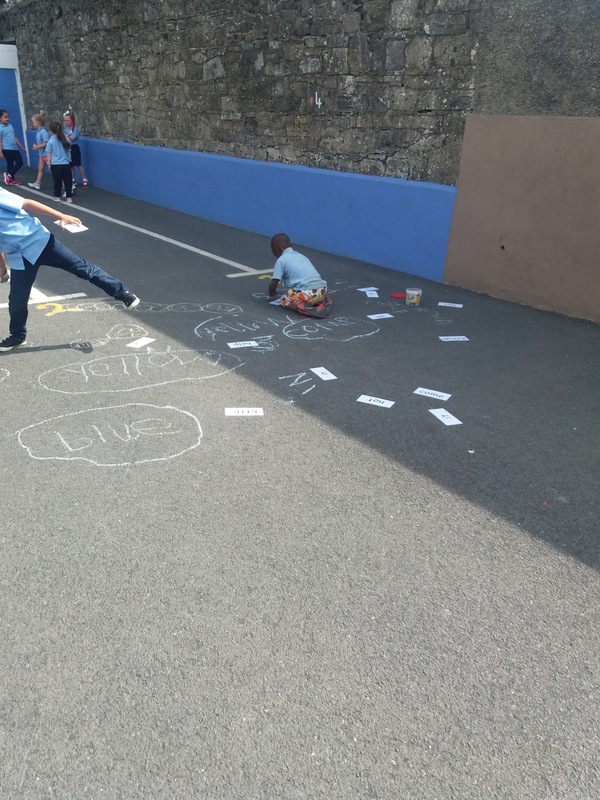 Wishing you all a happy and fun filled summer. Remember to stay safe and we look forward to seeing you all in September. 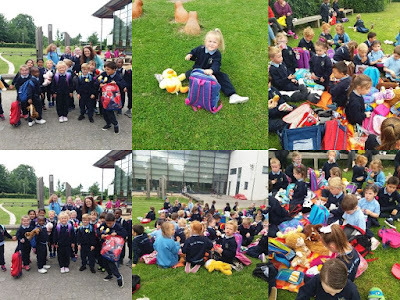 Excitement filled the classroom when we brought our teddy bears into school. 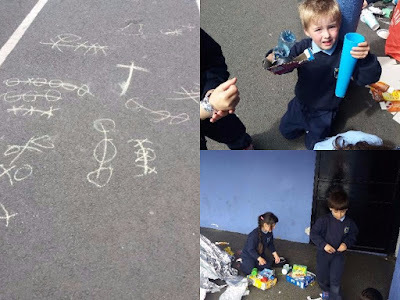 Teacher told us we were bringing them on a picnic and we couldn't wait. 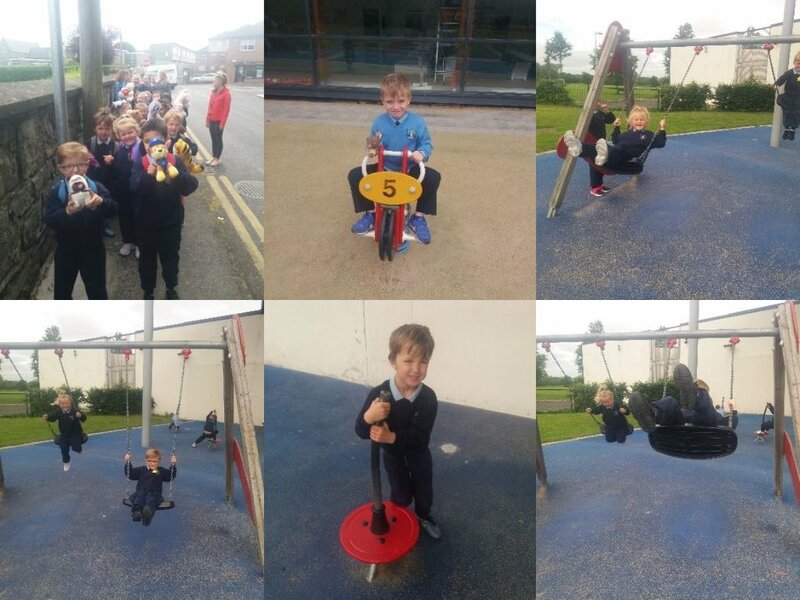 We put our bags on our back, held onto our teddies and away we went to the park. 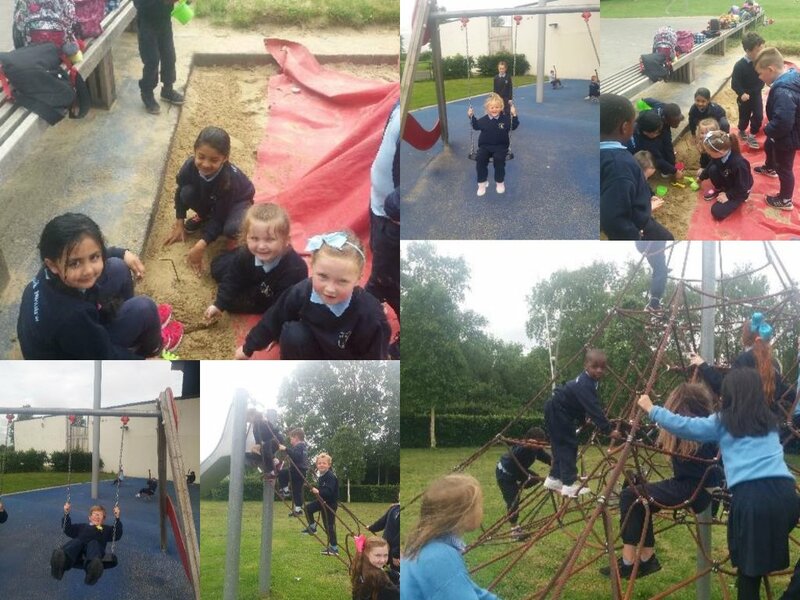 We played in the playground-we loved the swings, slide, climbing frame and much more. 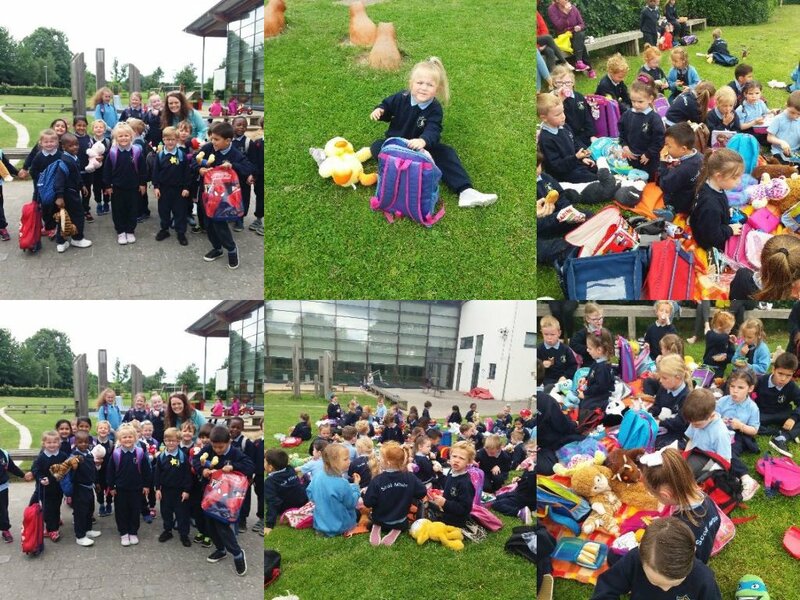 We had a picnic on the grass with blankets for our teddies. We worked so hard all year in Room 1 and the boys and girls really deserved this treat so well done!!!! 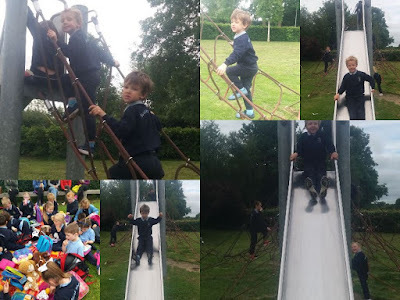 We will always remember this day as a really fun day. 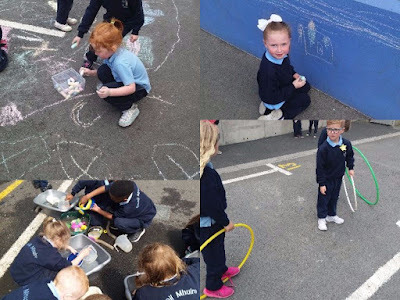 When the sunshine is out, we must make the most of the outdoors. 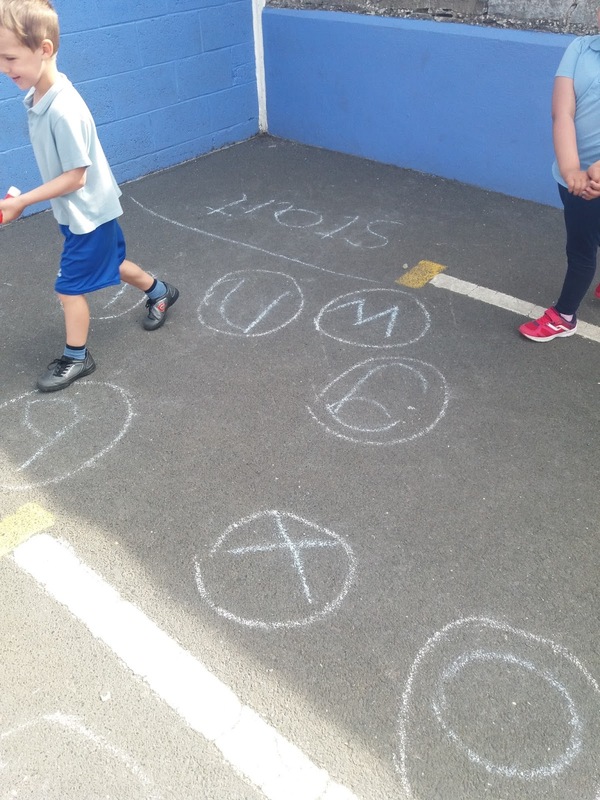 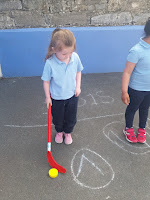 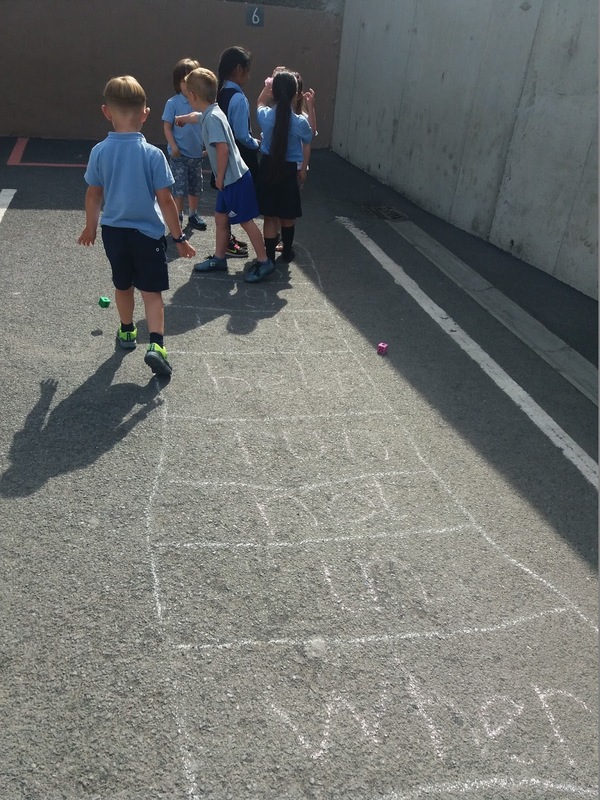 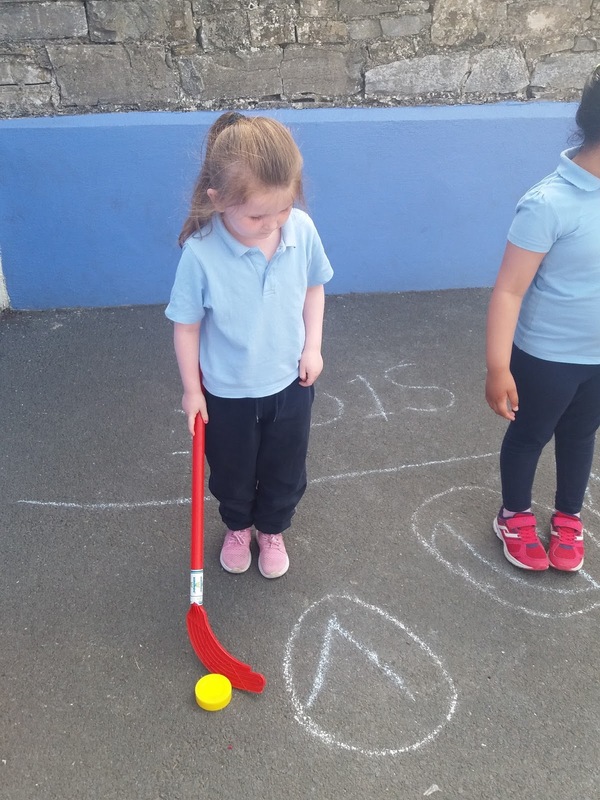 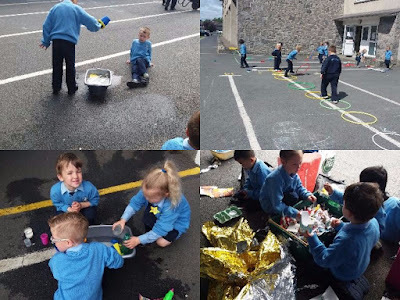 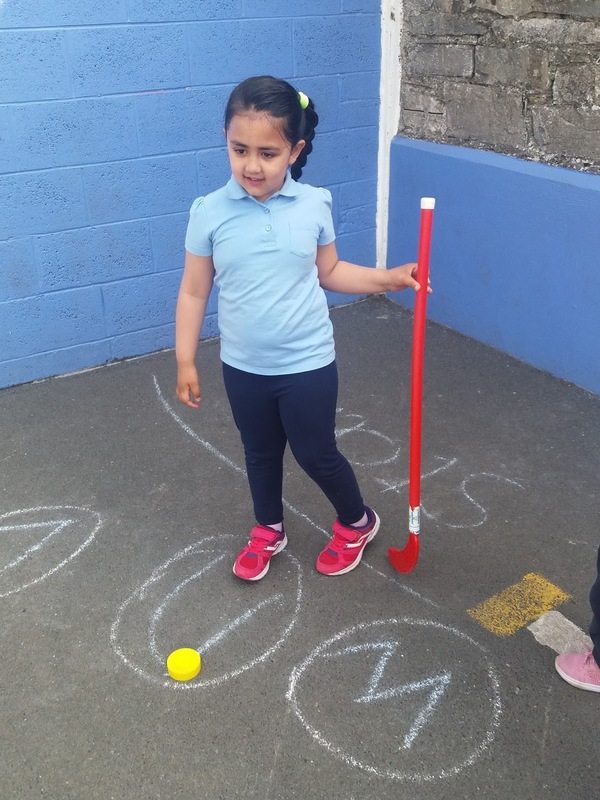 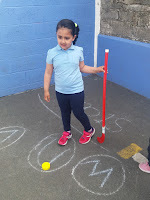 Have a look at what we got up to with phonics.....who thought we could play hopscotch and hockey with our letters and sounds! 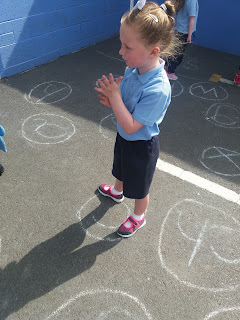 In Room 1, we love music, singing songs and playing instruments. We were very lucky to get a visit from Neil the drummer. 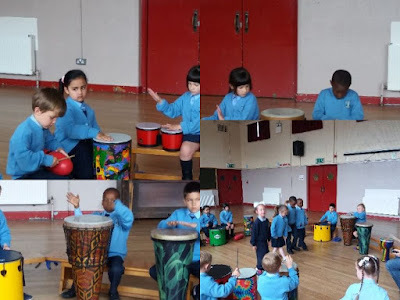 He showed different types of drums-big ones, small ones, narrow ones and wide ones. 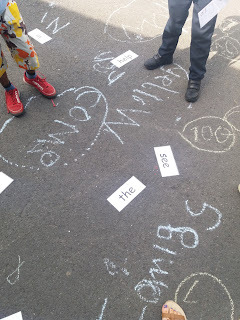 They all made different sounds. 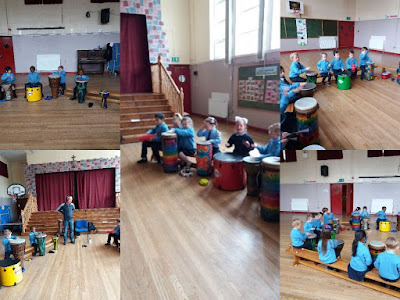 We made lots of noise that day but learned how to make music with the drums. 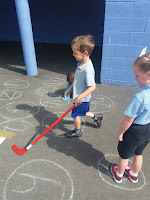 Neil was very patient with us :) It was a great day. 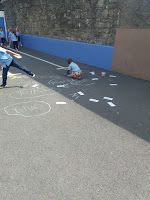 Sports day was so much fun. 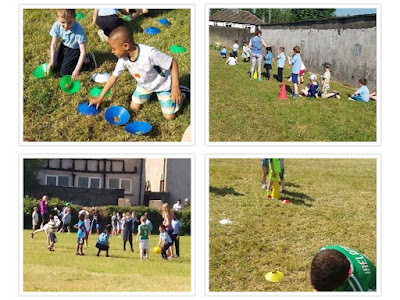 We had a beautiful sunny day and we made the most of it by playing sports orientated games in the field. 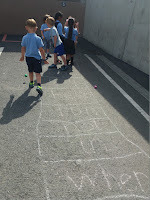 We were very busy and active and when teacher blew the whistle, we had to move to the next station. 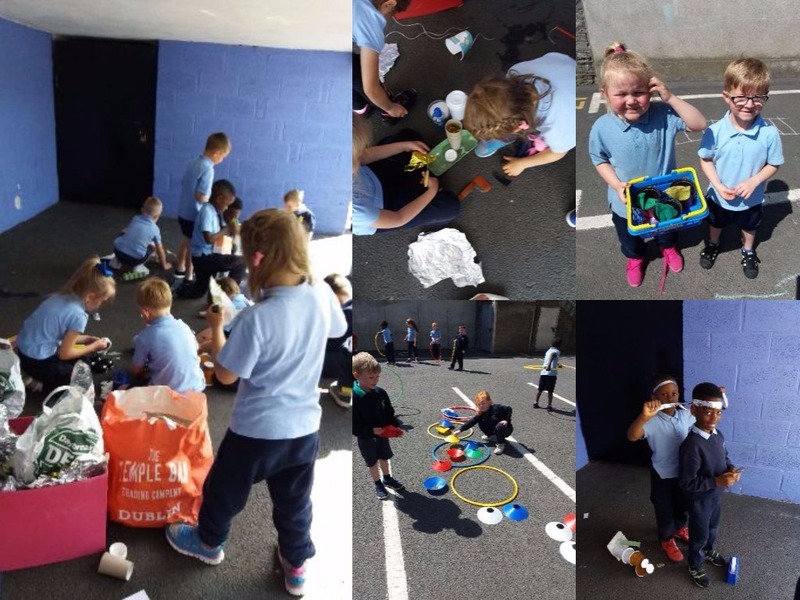 We played basketball, parachute games, hockey races, beanbag balancing, domes and saucers and many more. 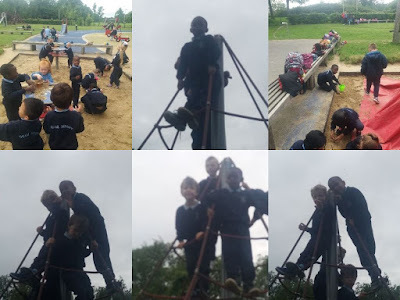 Lots of exercise was had that day and we were ready to collapse when we were finishing up. Well done to all the boys and girls who took part. 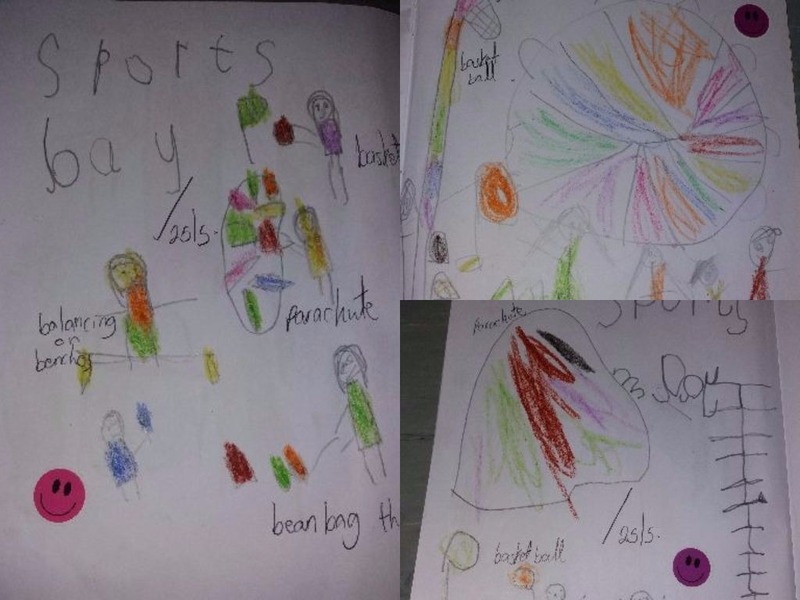 We drew some of our favourite activities from Sports Day. 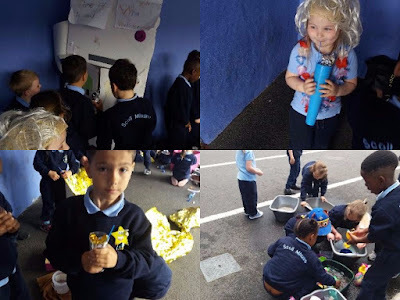 On our last day of Aistear outside, our teachers had an ice-cream party for us. 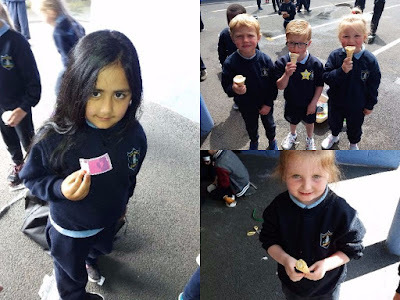 We were so lucky! 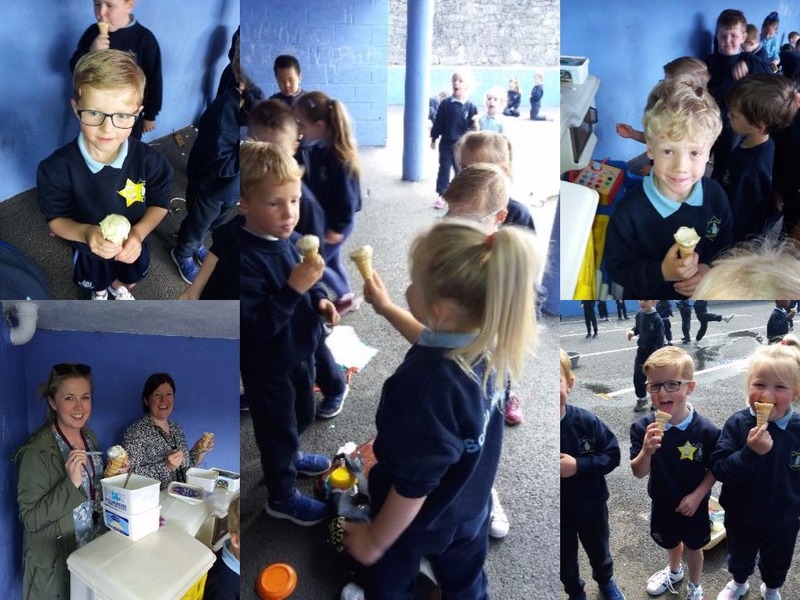 Teachers served up the ice-cream in cones and it was delicious!! !